Check out her next monthly workshop! 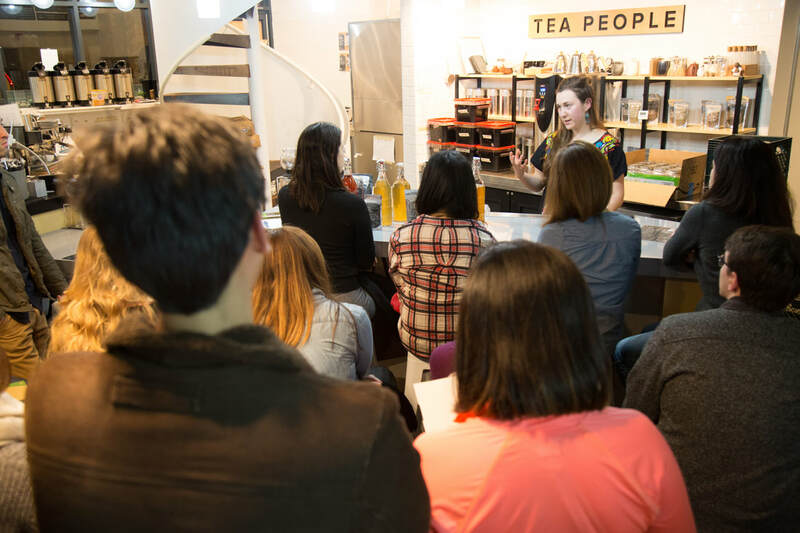 Interested in hosting a Kombucha Brewing Workshop? Contact Lila to set up a special event. Kombucha is the bubbly, sweet and tangy drink that has taken over grocery store shelves across the country. This newly popular beverage has been around for hundreds of years and is made by fermenting tea with sugar using a SCOBY (symbiotic culture of bacteria and yeast). - Bauman College, Berkeley, California. -Air BnB Headquarters, San Francisco, California. -Oaktown Spice Shop, Oakland, California. -Teance Fine Teas , Berkeley, California. -Twisted Thistle Apothecary, San Francisco, California. -Boba Guys, San Francisco, California. -Creative Bug, San Francisco, California. -Learn from Neighbor, Emeryville, California. -Sprouts Student Food Co-op, Vancouver, Canada. "Lila's kombucha workshop was fantastic! She brings a perfect mix of education and interactive discussion. Informative, but laid back and relaxed as well. We are hooked and cannot wait to start our own brewing, but we're still assessing the scoby's name :) What a lovely way to spend an evening with friends! J.D & D.H, Mountain View, California. 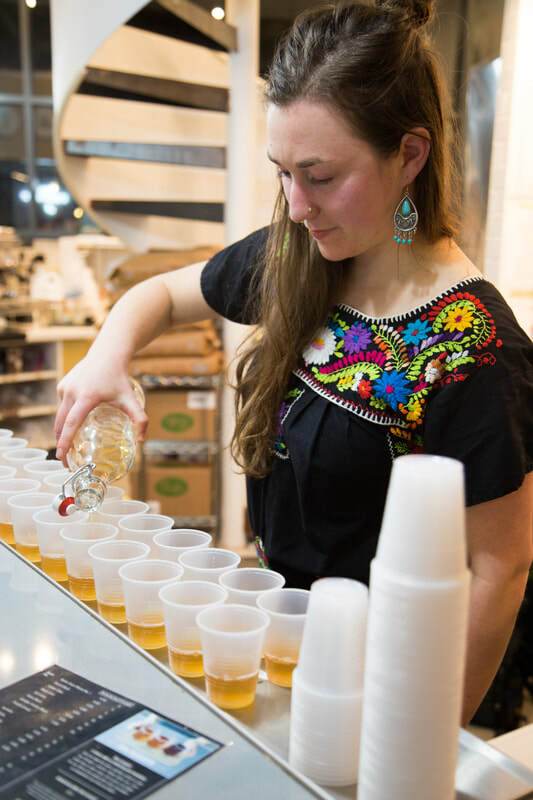 "I had a great experience in Lila's Kombucha brewing class. I feel so empowered now to make something with so many complex flavors right in my cabinet at a fraction of the cost that I could get it in store. Highly recommend!" "Lila and her class are fantastic. We learned everything we needed to know to get our own kombucha brewing, and went home with our new pet scobys. Highly recommend!" "I attended Lila's full Kombucha class in Oakland, Ca. She was organized, knowledgeable, and fun. We samples 2 different Kombuchas and each student left with their own SCOBY from her mother SCOBY that has it's maternal origins from 1992. After instruction on brewing Kombucha, She also gave each student written reinforcement instructions on creating this delight. This is a great class for beginners. Others who have brewed before might just want the SCOBY and learn some new helpful tips ."